Hematopoietic stem cell transplantation (HSCT) was used before 1960s to cure patients diagnosed with hematological and metabolic disorders as well as immunodeficiency and autoimmune diseases. The International Union of Registered Bone Marrow Transplant estimated that more than 50,000 HSCTs (25,000 allogeneic and 30,000 autologous transplants and cord blood) are annually performed worldwide. There are three types of HSCT, namely, allogeneic, autologous, and syngeneic. Allogeneic transplant comprises a donor and a receiver that are not immunologically matched. After the allogeneic transplant, the transplanted stem cells or the cells developed from it can react against the host, causing graft-versus-host disease (GVHD). On the one hand, in case of insufficient immunosuppressive conditioning regimen before the transplant, the immune cells may cause transplant rejection. Currently, in these kinds of transplants, the donor and receiver are tried to be matched in terms of genes such as human leukocyte antigens. Autologous transplant is harvesting and storage of autologous stem cells, and then reinjecting them after receiving high doses of myeloid-derived suppressor cells. Contrary to allogeneic transplant, in autologous transplant, the risk of developing GVHD or transplant rejection does not exist. On the other hand, autologous transplant lacks the graft versus tumor effect, and autologous stem cell products can become contaminated with tumor cells. Approximately 1% of cases undergoing syngeneic transplant have identical twins. Syngeneic donors are the best sources of stem cell; unlike allogeneic donors, in these cases, the risk of GVHD does not exist. Contrary to those receiving autologous stem cells, the risk of stem cell contamination by tumor cells does not exist in the patient. Other factors causing fatigue include immunosuppressive treatment, GVHD, infection, and severe anemia due to bone marrow suppression, pain, sleep disorder, stress, anxiety, and depression. Approximately 35% of patients experience acute fatigue after receiving bone marrow transplant. There are disparate reports on the occurrence and prevalence of cancer-related fatigue and its level of improvement in patients receiving bone marrow transplant. In a study by Bevans et al., the prevalence rate of fatigue was 90% 30 days after HSCT and 81% within 100 days. In a study by Hacker and Ferrans, most patients experienced relatively low fatigue 3 days before HSCT and mild to severe fatigue 3 days after HSCT. In a study by Gielissen et al., 41% of the patients reported severe fatigue 1–5 years after HSCT, and 32% of them experienced fatigue 5–10 years after HSCT. Nursing Diagnosis Association of North America describes fatigue as weakness and reduced mental and physical capacity. Based on the description of National Comprehensive Cancer Network, fatigue is a mental unpleasant and resistant sign presented in the form of physical, emotional, and cognitive fatigue, which is caused by cancer or its related treatments. Deep fatigue can affect various aspects of life through attenuating the ability to perform daily activities. Long-term inactivity and fatigue can result in weakness, lack of tolerance, and decreased muscle strength. Fatigue and lack of energy can lead to reduced concentration, psychosocial adjustment, and life quality. Methods for curing fatigue in patients undergoing HSCT are divided into pharmacological and nonpharmacological categories. Today, the use of complementary and alternative medicine has increased among the public all throughout the world. Nonpharmacological methods are often construed as a branch of complementary medicine that the nurses as well as the patients and their family can use to reduce the fatigue caused by disease and its treatment.,, Most nonpharmacological methods or complementary medicine therapies have little side-effects and risks. Given the scarcity of data on this issue, this study aimed to review the studies carried out on the effects of nonpharmacological interventions on patients' fatigue after receiving HSCT. The reference list of all the retrieved articles was hand searched for the related articles. The included studies were Persian- and English-language articles performed on human samples during 1991 – September 2016 and focused on the role of at least one nonpharmacological therapy on patients' fatigue after HSCT. No restriction on age, gender, and culture of the samples was applied. Studies which abstracts related to congresses and conferences, abstracts without full texts were excluded. The process of article selection was performed independently by two researchers, and in case of disagreement, the articles were evaluated by a third researcher [Figure 1]. A total of 1217 articles were retrieved by the initial search of the databases. Afterward, using “and,” limiting the search strategy, and increasing its features, the number of articles with related titles reached 282; of the 282 retrieved articles, 28 of them were repeated. The title and abstract of the remaining 254 articles were evaluated, and 226 of them were excluded from the study due to irrelevant objectives. Finally, the full text of the remaining 28 articles was evaluated to assess their quality and check whether they met the inclusion/exclusion criteria; finally, 21 articles were chosen. In addition, no relevant article was found in hand search of the reference list of the articles. Carlson et al. conducted a study to evaluate the effect of individual fitness programs on the treatment of severe fatigue after allogeneic HSCT in 12 patients (8 males and 4 females) with mean age of 47.41 years. The participants did cardio exercises in the form of individual resistance training (bicycle ergometer) three times a week for 12 weeks. The results indicated that individual fitness program could cure fatigue to a large extent (P < 0.001). A study by Wilson et al., which was conducted on 17 patients, illustrated that doing cardio exercises 3–5 times a week for 12 weeks promoted endurance performance and life quality after stem cell transplant and decreased fatigue (P < 0.05). Lemercier et al. performed a study to evaluate the level of physical activity in adults diagnosed with cancer, who received HSCT. Twelve patients were divided into two groups of intervention (n = 6) and control (n = 6). The intervention group had 3–45 min exercise sessions once a week for 10 weeks. The results indicated a significant reduction in fatigue scores of the intervention group, compared to the control group, and no change was observed in the scores of depression and anxiety in both groups. Wiskemann et al. reviewed 29 articles on the effect of exercise interventions on HSCT. The results of that study showed that exercise interventions lowered the severity of side-effects associated with treatment and fatigue.,,, It also improved physical performance and life quality. In a systematic meta-analysis, Persoon et al. reviewed eight articles on the impact of exercise on patients with hematologic malignancies undergoing stem cell transplant. The results indicated that exercise could enhance cardiopulmonary fitness and lower extremity muscle strength and reduce fatigue. Steinberg et al. evaluated the role of physical rehabilitation in patients undergoing stem cell transplant. Their findings demonstrated that one of the key factors in the improvement of life quality and survival of patients undergoing stem cell transplant was supportive care, especially physical medicine and rehabilitation. Van Haren et al. performed a systematic meta-analysis on 11 articles investigating the effects of exercise on cancer patients undergoing HSCT. The results indicated that exercise during hospitalization improved life quality and reduced fatigue in patients undergoing allogeneic transplant. Morishita and Domen evaluated 22 studies on the effects of physical exercise interventions on HSCT. Their findings indicated that exercise interventions reduced treatment complications and improved physical performance in patients. Some of the reviewed articles showed that exercise interventions could diminish fatigue and promote life quality in patients. However, there was no significant difference between the groups of the study by Knols et al. In a study by Shelton et al., fatigue reduced after 4 weeks, but the difference was not statistically significant. In a study by Jarden et al., level of fatigue and mental health changed in the intervention group, but the reduction was not statistically significant. Several studies demonstrated that aerobic or resistance training could significantly decrease fatigue in patients undergoing HSCT [Table 1]. Nowadays, the use of complementary and alternative medicine is on a growing trend worldwide. According to the National Center for Complementary and Alternative Medicine, complementary medicine is used along with common medicine, while alternative medicine is applied instead of common medicine. The reasons for the increasing the use of complementary and alternative medicine include insufficiency of conventional treatments, low communication skills of physicians, and adverse side-effects of therapeutic agents. In a study by Barnes et al., 40% of the American citizens had used complementary and alternative medicine in the past 12 months. In a study by Maftoon et al., the prevalence of using complementary and alternative medicine in Iran was reported to be 42%. Although there is ample evidence on the positive effects of complementary and alternative medicine on cancer treatment, there is a paucity of studies on the impact of complementary and alternative medicine on stem cell transplantation. In a clinical trial, Kim and Kim divided 35 patients undergoing HSCT into two groups of intervention (n = 18) and control (n = 17). Respiratory relaxation training was performed in 30-min sessions once a day for 6 weeks in the intervention group, and the control group received no intervention. The results showed that the mean scores of fatigue subscales including cognitive/mood, behavioral/severity, emotional, and sexual were significantly different in the two groups after the intervention (P = 0.02, P = 0.01, P = 0.04, and P = 0.001, respectively). Diorio et al. evaluated the effects of yoga on 11 children aged 7–18 years undergoing HSCT. Yoga was done three times a week for 3 weeks. The mean fatigue score was 55.6 ± 15.5 on day 21 of the intervention. The results of the study illustrated that yoga has positive effects on hospitalized children undergoing HSCT. Cassileth et al. investigated the impact of music therapy on behavioral disorders of patients undergoing HSCT. The results exhibited that the mean scores of some variables such as anxiety, depression, fatigue, and mood disorders were significantly different (P = 0.065, P = 0.065, P = 0.03, and P = 0.01, respectively). Music therapy is a nonaggressive and inexpensive intervention, which can reduce mood disorders in hospitalized patients undergoing transplant. Ahles et al. examined the effect of massage therapy on patients undergoing autologous bone marrow transplant. In their study, 34 patients were randomly divided into two groups of intervention (n = 16) and control (n = 18). The patients in the massage therapy group received 20-min sessions of massage three times a week until hospital discharge. The mean duration of hospital stay was 3 weeks. The mean scores of some variables such as distress, nausea, fatigue, and anxiety were significantly different after the intervention (P = 0.02, P = 0.01, P = 0.06, and P = 0.0001, respectively). Physical exercise is known as an effective intervention in alleviating physical and mental problems of patients undergoing stem cell transplant. This review-based study showed that nonpharmacological methods such as exercise might be effective in lowering fatigue in patients undergoing stem cell transplant. Although there is a scarcity of studies on complementary and alternative medicine, the existing evidence clearly suggests that these methods can be applied to reduce fatigue in patients. Given the advantages of complementary and alternative medicine and high prevalence of fatigue in patients after transplant and that pharmaceutical methods impose great economic losses and adverse side-effects, promoting awareness of patients regarding nonpharmaceutical methods can effectively reduce fatigue and enhance quality of life. Future studies on this issue are recommended to develop and carry out research projects on the nonpharmaceutical interventions on patients undergoing hematopoietic stem cell transplant and raise awareness of physicians, nurses, and patients regarding the use of nonpharmaceutical interventions. Furthermore, traditional and nonpharmaceutical methods as effective and safe interventions should be considered in planning theoretical and practical lessons. We are grateful to the Clinical Research Development Committee of Amirkola Children's Hospital, Health Research Institute of Babol University of Medical Sciences and Mrs. Faeze Aghajanpour for their contribution to this study. This article was a prestudy for an MSc thesis in Critical Nursing Care. We would like to thank the Deputy of Research and Technology of University of Medical Sciences of Mazandaran for the financial support (No. : 1733 and registry date: September 06, 2015) approved by the Ethics Committee of Mazandaran University of Medical Sciences. HJ contributed to conducting the research project, preparing and editing the manuscript, and approving the final version of the manuscript. YJ prepared and edited the manuscript. SH helped with collecting data, preparing and editing the manuscript, and approving the final version of the manuscript. Boo M, van Walraven SM, Chapman J, Lindberg B, Schmidt AH, Shaw BE, et al. Remuneration of hematopoietic stem cell donors: Principles and perspective of the World Marrow Donor Association. Blood 2011;117:21-5. Gratwohl A, Baldomero H, Aljurf M, Pasquini MC, Bouzas LF, Yoshimi A, et al. Hematopoietic stem cell transplantation: A global perspective. JAMA 2010;303:1617-24. Naushad R, Shakib A. Harrison's Principle of Internal Medicine. 17th ed. Tehran: Andisheh Rafi; 2008. Kronenberger WG, Carter BD, Edwards J, Morrow C, Stewart J. Psychological adjustment of mothers of children undergoing bone marrow transplantation: The role of stress, coping, and family factors. Child Health Care 1998;27:77-95. Morishita S, Kaida K, Setogawa K, Kajihara K, Ishii S, Ikegame K, et al. Safety and feasibility of physical therapy in cytopenic patients during allogeneic haematopoietic stem cell transplantation. Eur J Cancer Care (Engl) 2013;22:289-99. Gielissen MF, Schattenberg AV, Verhagen CA, Rinkes MJ, Bremmers ME, Bleijenberg G. Experience of severe fatigue in long-term survivors of stem cell transplantation. Bone Marrow Transplant 2007;39:595-603. Wilson RW, Jacobsen PB, Fields KK. Pilot study of a home-based aerobic exercise program for sedentary cancer survivors treated with hematopoietic stem cell transplantation. Bone Marrow Transplant 2005;35:721-7. Danaher EH, Ferrans C, Verlen E, Ravandi F, van Besien K, Gelms J, et al. Fatigue and physical activity in patients undergoing hematopoietic stem cell transplant. Oncol Nurs Forum 2006;33:614-24. Hjermstad MJ, Knobel H, Brinch L, Fayers PM, Loge JH, Holte H, et al. A prospective study of health-related quality of life, fatigue, anxiety and depression 3-5 years after stem cell transplantation. Bone Marrow Transplant 2004;34:257-66. Berger AM, Farr L. The influence of daytime inactivity and nighttime restlessness on cancer-related fatigue. Oncol Nurs Forum 1999:1663-71. Bargi G, Güçlü MB, Aribas Z, Aki SZ, Sucak GT. Inspiratory muscle training in allogeneic hematopoietic stem cell transplantation recipients: A randomized controlled trial. Support Care Cancer 2016;24:647-59. Suzan Fouad A, Fatigue symptom distress and its relationship with quality of life in adult stem cell transplant survivors; 2009. Graduate Theses and Dissertations. Available from: http://scholarcommons.usf.edu/etd/1819. Bevans MF, Mitchell SA, Marden S. The symptom experience in the first 100 days following allogeneic hematopoietic stem cell transplantation (HSCT). Support Care Cancer 2008;16:1243-54. Hacker ED, Ferrans CE. Ecological momentary assessment of fatigue in patients receiving intensive cancer therapy. J Pain Symptom Manage 2007;33:267-75. Zakerimoghadam M, Shaban M, Kazemnejad A, Tavasoli KH. The effect of breathing exercises on fatigue level of COPD patients. Journal of Hayat 2006;12:17-25. Hilarius DL, Kloeg PH, van der Wall E, Komen M, Gundy CM, Aaronson NK. Cancer-related fatigue: Clinical practice versus practice guidelines. Support Care Cancer 2011;19:531-8. Knols RH, de Bruin ED, Uebelhart D, Aufdemkampe G, Schanz U, Stenner-Liewen F, et al. Effects of an outpatient physical exercise program on hematopoietic stem-cell transplantation recipients: A randomized clinical trial. Bone Marrow Transplant 2011;46:1245-55. Kessler RC, Davis RB, Foster DF, Van Rompay MI, Walters EE, Wilkey SA, et al. Long-term trends in the use of complementary and alternative medical therapies in the United States. Ann Intern Med 2001;135:262-8. Maa SH, Tsou TS, Wang KY, Wang CH, Lin HC, Huang YH. Self-administered acupressure reduces the symptoms that limit daily activities in bronchiectasis patients: Pilot study findings. J Clin Nurs 2007;16:794-804. Kaviani H, Mousavi A. Psychometric properties of the Persian version of Beck Anxiety Inventory (BAI). TUMJ 2008;66:136-40. Hadadian F, Ghorbani A, Falah H, Latifi SM. The effect of trancscutaneus electrical acupoint stimulation (TEAS) on fatigue reduction in hemodialysis patients. J Kermanshah Univ Med Sci 2011;15:165-72. Morishita S, Domen K. Physical exercise interventions in patients undergoing allogeneic haematopoietic stem cell transplantation. J Transl Med Epidemiol 2014;2:1009. Dimeo FC. Effects of exercise on cancer-related fatigue. Cancer 2001;92 6 Suppl: 1689-93. Hacker ED, Larson J, Kujath A, Peace D, Rondelli D, Gaston L. Strength training following hematopoietic stem cell transplantation. Cancer Nurs 2011;34:238-49. Carlson LE, Smith D, Russell J, Fibich C, Whittaker T. Individualized exercise program for the treatment of severe fatigue in patients after allogeneic hematopoietic stem-cell transplant: A pilot study. Bone Marrow Transplant 2006;37:945-54. Lemercier L, Bernard P, Cartron G, Ninot G. Adapted physical activity intervention among adults with cancer undergoing hematopoietic stem cell transplantation (HSCT): A feasibility study. Ann Phys Rehabil Med 2014;57(1):e368. Wiskemann J, Dreger P, Schwerdtfeger R, Bondong A, Huber G, Kleindienst N, et al. Effects of a partly self-administered exercise program before, during, and after allogeneic stem cell transplantation. Blood 2011;117:2604-13. Wiskemann J, Huber G. Physical exercise as adjuvant therapy for patients undergoing hematopoietic stem cell transplantation. Bone Marrow Transplant 2008;41:321-9. Persoon S, Kersten MJ, van der Weiden K, Buffart LM, Nollet F, Brug J, et al. Effects of exercise in patients treated with stem cell transplantation for a hematologic malignancy: A systematic review and meta-analysis. Cancer Treat Rev 2013;39:682-90. Steinberg A, Asher A, Bailey C, Fu JB. The role of physical rehabilitation in stem cell transplantation patients. Support Care Cancer 2015;23:2447-60.
van Haren IE, Timmerman H, Potting CM, Blijlevens NM, Staal JB, Nijhuis-van der Sanden MW. 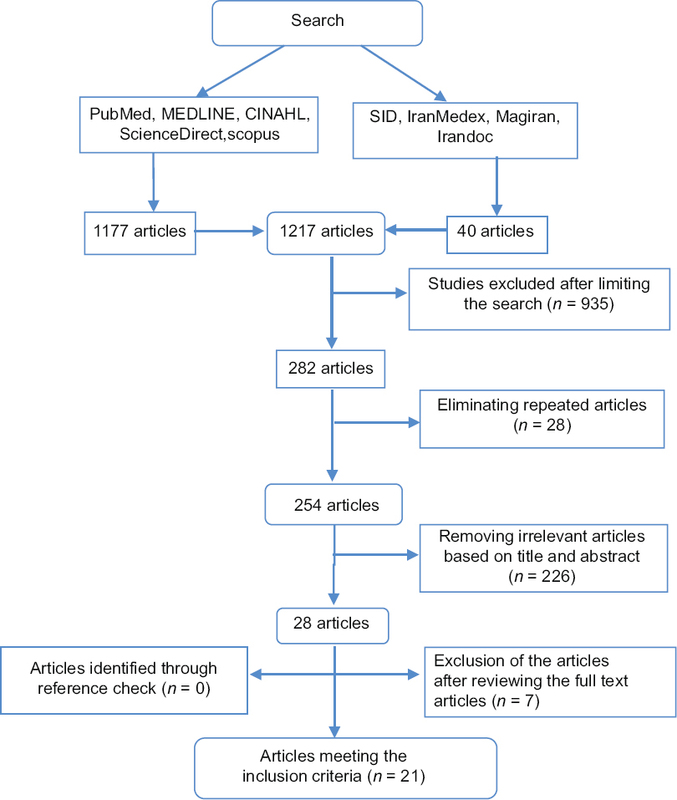 Physical exercise for patients undergoing hematopoietic stem cell transplantation: Systematic review and meta-analyses of randomized controlled trials. Phys Ther 2013;93:514-28. Shelton ML, Lee JQ, Morris GS, Massey PR, Kendall DG, Munsell MF, et al. A randomized control trial of a supervised versus a self-directed exercise program for allogeneic stem cell transplant patients. Psychooncology 2009;18:353-9. Jarden M, Baadsgaard MT, Hovgaard DJ, Boesen E, Adamsen L. A randomized trial on the effect of a multimodal intervention on physical capacity, functional performance and quality of life in adult patients undergoing allogeneic SCT. Bone Marrow Transplant 2009;43:725-37. Chamorro-Viña C, Guilcher GM, Khan FM, Mazil K, Schulte F, Wurz A, et al. EXERCISE in pediatric autologous stem cell transplant patients: A randomized controlled trial protocol. BMC Cancer 2012;12:401. Baumann FT, Zopf EM, Nykamp E, Kraut L, Schüle K, Elter T, et al. Physical activity for patients undergoing an allogeneic hematopoietic stem cell transplantation: Benefits of a moderate exercise intervention. Eur J Haematol 2011;87:148-56. Dimeo FC, Tilmann MH, Bertz H, Kanz L, Mertelsmann R, Keul J. Aerobic exercise in the rehabilitation of cancer patients after high dose chemotherapy and autologous peripheral stem cell transplantation. Cancer 1997;79:1717-22. Anonymous. Expanding Horizons of Healthcare: Five Year Strategic Plan, 2001-2005. National Center for Complementary and Alternative Medicine; 2008. Barnes PM, Bloom B, Nahin RL. Complementary and alternative medicine use among adults and children: United States, 2007. Natl Health Stat Report 2008;12:1-23. Maftoon F, Sadighi J, Azin SA, Montazeri A. Complementary medicine and health system. Journal of Payesh 2007;6:55-62. Kim SD, Kim HS. Effects of a relaxation breathing exercise on fatigue in haemopoietic stem cell transplantation patients. J Clin Nurs 2005;14:51-5. Diorio C, Schechter T, Lee M, O'Sullivan C, Hesser T, Tomlinson D, et al. A pilot study to evaluate the feasibility of individualized yoga for inpatient children receiving intensive chemotherapy. BMC Complement Altern Med 2015;15:2. Cassileth BR, Vickers AJ, Magill LA. Music therapy for mood disturbance during hospitalization for autologous stem cell transplantation: A randomized controlled trial. Cancer 2003;98:2723-9. Ahles TA, Tope DM, Pinkson B, Walch S, Hann D, Whedon M, et al. Massage therapy for patients undergoing autologous bone marrow transplantation. J Pain Symptom Manage 1999;18:157-63.